We interviewed Pip Black to find out a bit more about the new addition to Frame. Why did you create Mumhood? When Joan and I fell pregnant for the first time, it was quite a shock to find how limited the options for pregnant women to continue to exercise were. Advice was contradictory and definitely fell on the side of caution, but at the same time having done our own research into it and being extremely active pre-pregnancy, we knew that staying active would keep us sane and ultimately would be best for our bodies and create the best possible start to life for our babies. As a new mum, exercise, especially group exercise, will help get you out of the house and help to prevent postnatal depression. It will also help you to get on with your daily life without injuring yourself, and help to boost your energy levels. When Joan fell pregnant the second time, the timing felt right for us to seriously think about launching Mumhood which we had been quietly working on for the past year or so. Through Frame we had started to see the number of pregnant ladies coming into the studios confused and wondering what they can/can’t do, but keen to keep exercising and we wanted to do something positive that would be of benefit both to our current customers, but also to those pregnant ladies and new mums around the country, who may not have access to somewhere like Frame. What does it give pregnant women that other platforms don’t? A community with other Mums and Mums to be, a way to share tips and concerns with each other. Alongside classes the Mumhood platform also provides online videos and advice that you can use in the comfort of your own home. In terms of the exercise programmes, they have been created with the active woman in mind. We found from personal experience that everything was overly cautious and aimed at the woman who had a very low starting point in terms of fitness level, but we know now, that exercise is an integral part of many women’s lives and that they want to continue to exercise in a safe, yet effective way throughout their pregnancy. For example, our yoga videos, especially in the second trimester, are based on a modified Vinyasa Flow incorporating strength and endurance work, rather than purely breathing exercises. Why is doing exercise during pregnancy so important? As you enter a new stage of your life, keeping fit and healthy is more important than ever, you’re going to need a new-found strength, both mentally and physically, to deal with carrying car seats up flights of stairs, cooking one-handed with a baby on your hip, and to endure yet another sleepless night. The right kind of exercises during pregnancy and as a new mum can also go a long way to reducing or completely preventing any pain that can result from the changes going on in your body as your baby grows inside you and as it starts to knit itself back together post birth. What’s the biggest myth you’ve encountered about exercising during pregnancy? That you can’t squat, or that if you run, your baby might fall out! Both are totally wrong. The reason why you should limit running, or any other high impact exercise, is actually more to do with your body and the pressure that these put on both your pelvic floor and your joints (mainly pelvis, knees, ankles) which can cause injury for you at the time, or issues later down the track. Your baby is actually quite safe in there, your body is an incredible thing! What’s the best exercise women can do throughout the whole of their pregnancy? Squats! They work the entire body, can bring a cardio element and help to engage the pelvic floor. Add weights for more of a challenge, or hold a broomstick above your head whilst you squat to engage the upper back muscles and help to improve posture and limit shoulder pain. Lots of studios don’t allow women to exercise before they’ve reached 3 months – why is this? This is linked to the fact that miscarriage is more common in the first trimester. However, research has proven that there is no direct link between exercise and miscarriage, in a low-risk pregnancy. Often there is very little you can do to prevent a miscarriage and it’s often because something is not right with the foetus. 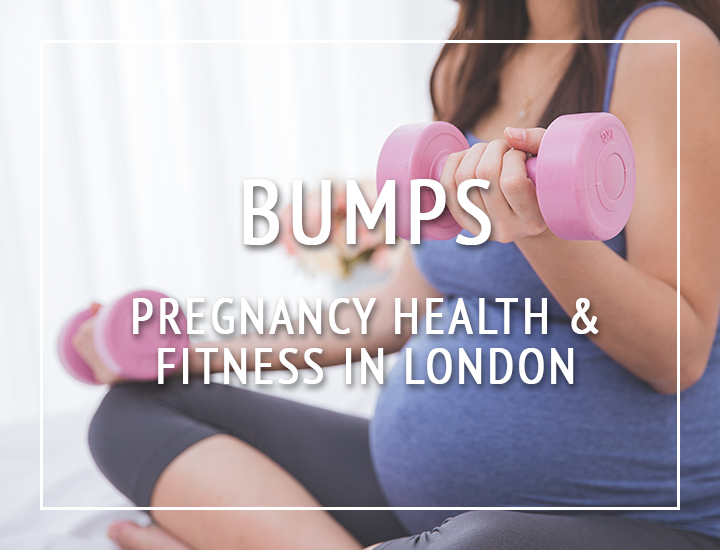 We allow and encourage exercise in the first trimester, as long as you’re feeling up to it (some women just don’t) but advise to read and follow our pregnancy guidelines, limit the intensity to 70% of maximum and always listen to your body. What is the best activewear you’d recommend for pregnant women? Our new maternity athleisure Frame collection with Mamas & Papas. The collection is made from stretchy, lightweight fabrics, featuring elasticated waistbands for bump support and is designed to flatter a growing bump throughout all stages of pregnancy. The collection is available to buy in all our Frame Studios and online at www.moveyourframe.com. If a pregnant woman is thinking of trying a class for the first time, never having done it before, how should she approach it? If a woman hasn’t exercised prior to pregnancy, we would advise that she sticks to pregnancy specific classes, rather than trying to modify an open class. Pregnancy specific classes are designed with a pregnant body in mind and therefore all exercises will be safe. It’s worth ringing up the studio to check that the class is suitable for beginners and to check what you need to take (most studios will have mats, equipment, but it’s always good to be sure). We’d advise having a light snack 1 hour – 30 minutes before the start of the class so that your energy levels + blood sugar don’t crash during class and to sip on water throughout. If you’re pregnant are there any particular types of exercise you should stay away from completely? Anything that is high impact, has a contact element, or involves lots of sharp, fast changes of direction, for example rugby, hockey, skiing, horse-riding, even running from the second trimester (unless you’re a seasoned runner and are feeling great). What was your favourite exercise throughout pregnancy? For me, I am really enjoying Reformer Pilates in my second trimester. It’s really helping with my posture and preventing pain, it also makes me feel taller (and therefore slightly less dumpy) and I can really feel it in my glutes (problem area) and the stretches feel amazing on my middle and upper back! I am currently modifying an open class (I’m 27 weeks pregnant) but I will need to start pregnancy specific classes from next week as I’m beginning to get a little big for lots of the exercises. What can pregnant women do to ensure they’re as healthy as possible during pregnancy? Move every day and think about what nutrition they are putting into their bodies. Now is not the time to indulge in extra calories made up of junk food. Think of everything going into your body as fuel for your growing baby, and then have an occasional treat if you feel like it. Also sleep. Sleep is a key ingredient to our health that many of us forget. Oat cakes with almond butter and slices of cheddar! Mmmmm…! In a nutshell: Mumhood is an education, a community and a safe way to keep fit during an after pregnancy. How much: Individual classes start from £13 a session. Where: Frame has venues across London. Visit their website for more information.